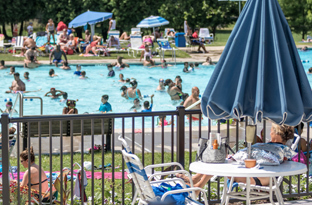 Warrenbrook Pool, located in Warren Township, is an outdoor swimming facility offering patrons a choice of seasonal passes or daily admissions. 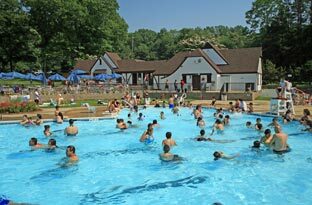 Mail-in and online registration for swim lessons as well as seasonal and county ID passes is currently available for county residents. Non-county residents may register as of April 1. Residents of Somerset County may purchase Pool County ID cards for $45 each. County ID cards reduce the daily rates to half cost. Also available are weekday evening passes at $60 each. These enable the cardholder to swim weeknights after 5pm at no cost, and at all other times at half-cost savings. 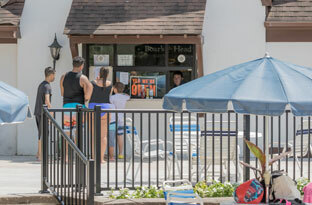 Please note that everyone who enters the pool area must pay regardless of whether they use the facilities or not. TO SIGN UP FOR POOL PASSES ON-LINE, LOG ON TO THE LESSON LINK BELOW AND FOLLOW THE DIRECTIONS LISTED BELOW. Once you have logged in click on “Search” on the green bar. A box will come up to the right of that. Click on “Search” in that box. On the new screen that comes up, click on the gray “Search” button at the bottom.